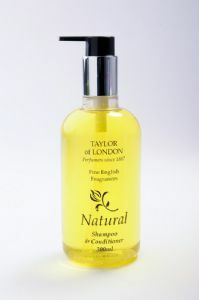 Taylor of London Natural contains 300ml of liquid hotel shampoo & conditioner, and includes the dispensing pump and bottle. It is a complete and ready to use package and a great way to offer your hotel guests liquid shampoo & conditioner facilities, backed by one of the country’s best known perfumers! 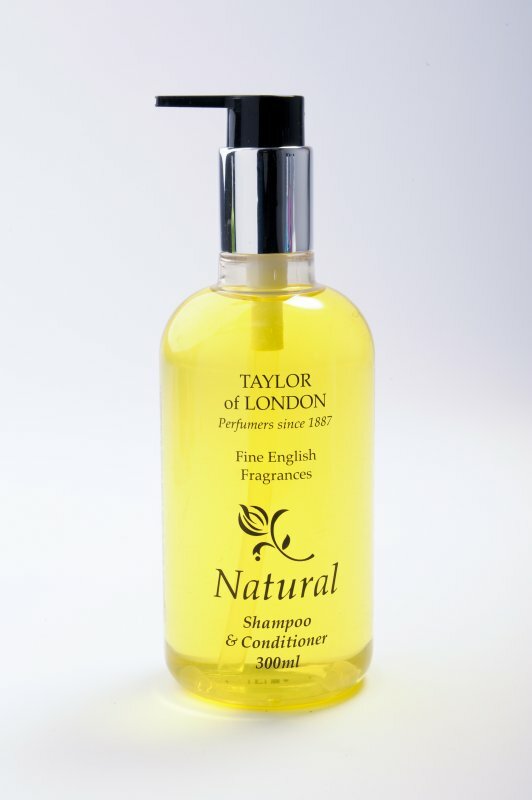 Taylor of London have been perfumers since 1887and have given this hotel shampoo and conditioner a "fine English Fragrance" It is part of the Natural range of hotel guest amenities products. The hotel shampoo and conditioner is a very attractive Bright Yellow colour and has a pleasant fragrance suitable for all ages and genders. Taylor of London great hospitality supplies.